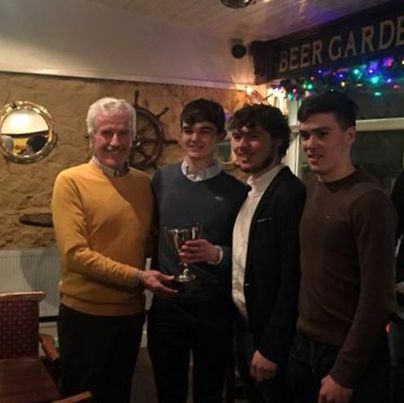 Comhghairdeas to Eoin Ryan, Eoghan Costelloe and Shane O'Connor on winning the inaugural 2015 Mick O'Neill Cup. Adare Road Hurling was a complete success with 36 teams taking part in difficult conditions but both young and old braved it showing the great characters within our club. Finally, would like to thank the O'Neill family on presenting the cup in Bill Chawkes to worthy victors and deserving champions.